Sharing our research and knowledge is a key element of SSEC’s mission. Our scientists and outreach specialists develop online content and resources, as well as organize and conduct training and workshops, for groups ranging from high school students and teachers to other researchers and weather forecasters. Leading and supporting our education and outreach efforts is the Office of Education and Public Outreach within SSEC’s Cooperative Institute for Meteorological Satellite Studies. Support SSEC earth science projects; conduct formal and informal classes and workshops; provide access to CIMSS satellite imagery and educational software. A blog covering interesting meterological events with numerous animations, images and expert analysis. Educational support for Venus-related missions, such as Akatsuki and Venus Express. A weekly radio show on interesting things happening with the weather. Hosted by Steven A. Ackerman and Jonathan Martin, professors in the Department of Atmospheric and Oceanic Sciences at UW-Madison. 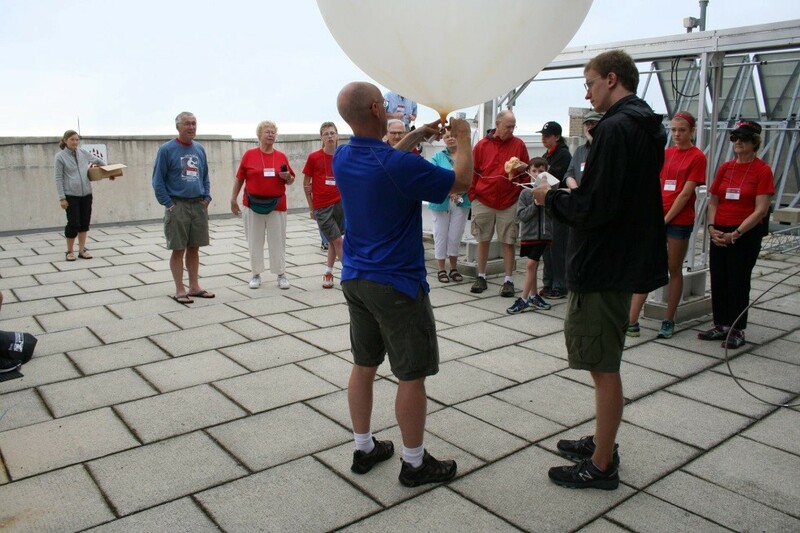 CIMSS organizes workshops and online courses for middle and high school teachers to learn more about satellite meteorology and to bring this content back into their classrooms to engage their students. SSEC and CIMSS researchers contribute and conduct online courses to help train NWS forecasters in how to understand and use satellite imagery for forecasting. SAGE is a distance-learning course for G6-12 educators that uses satellite observations to improve understanding of Earth's dynamic air and water systems, with units covering six areas: Remote Sensing, Geology, Oceanography, Meteorology, Climate, and Earth as a System. CIMSS researchers developed these seminars to teach the basics of remote sensing to scientists around the globe. 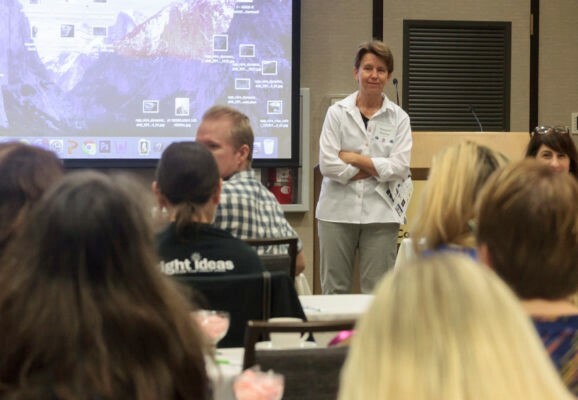 These workshops provide the opportunity for teachers to analyze data from the Venus Express mission to track observable cloud features and to gain insight into processes that are similar on Earth, especially atmospheric circulation patterns relating to weather and climate. This workshop focuses on meteorology, astronomy, remote sensing and geology. Participating students stay on campus in lakeside dorms and experience science education, research and technology through hands-on activities -- working directly with scientists, graduate students and professors. This $1000 scholarship opportunity is for high school seniors who plan to attend a University of Wisconsin System undergraduate program in the physical sciences; especially meteorology, earth science, oceanography, physics, astronomy, science or math education, environmental science and engineering. A series of “Unsolved Mysteries of Venus” learning modules have been developed that enable student exploration of the same planetary data used by the Venus Exploration Science Team to learn more about the atmospheric conditions of Venus. This web-based course introduces and tests students on concepts in satellite meteorology. This web-based curriculum explores the science behind the stories and sayings about Wisconsin weather. VISITview® is a teletraining and real-time collaboration tool developed for the National Weather Service VISIT program to meet the needs of science training of their forecasters. ICE is designed to be an easy first step into the realm of Earth system science, image processing, data analysis, and satellite remote sensing via your Web browser. ICE uses pre-prepared images to analyze remotely-sensed observations of various Earth features. Educational materials for institutions participating in NOAA's Science on a Sphere (SOS) program. 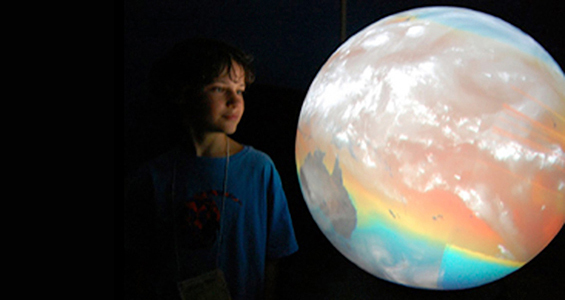 Interactive, web-based, HTML5 apps for learning about weather and the atmosphere. SSEC and CIMSS researchers participate in COMET, a collaboration begun by UCAR and the NWS to promote a better understanding of mesoscale meteorology among weather forecasters and to maximize the benefits of new weather technologies. Dedicated to remote sensing imagery access and use in Wisconsin, WisconsinView provides resources for educators to explore satellite imagery, aerial photography, and related technologies. 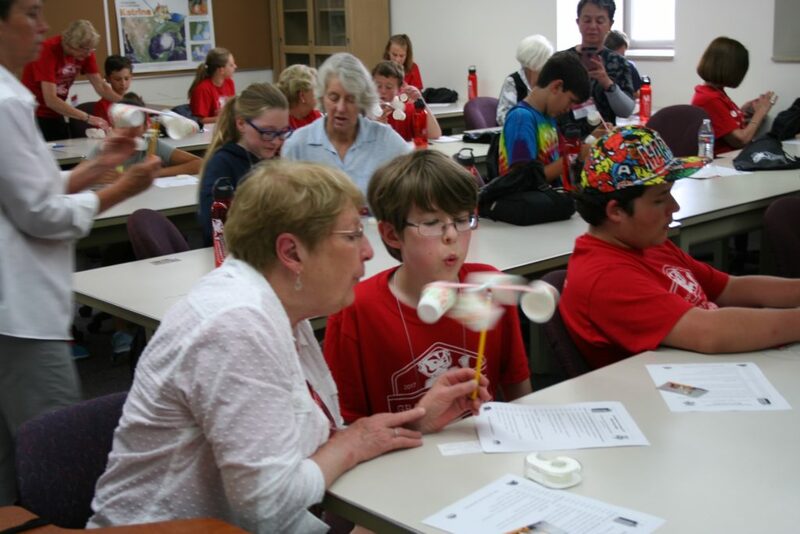 SSEC is an affiliate member of the WSGC, which aims to engage Wisconsin citizens in space and aerospace science and to provide them with the math, science and technology tools they need to thrive in the 21st century.